Are you scared to open your training department’s fridge? We all know that feeling. You peer inside, size up the month-old lasagna, the mystery meat that’s grown a layer of fuzz. How can you deal with all of it? You know the problem isn’t going to go away by itself. But you tell yourself you’re busy, you just need to get something out of the fridge, and you can’t get involved right now. So maybe you just reach for the milk and quietly close the door, promising you’ll take care of things another day. 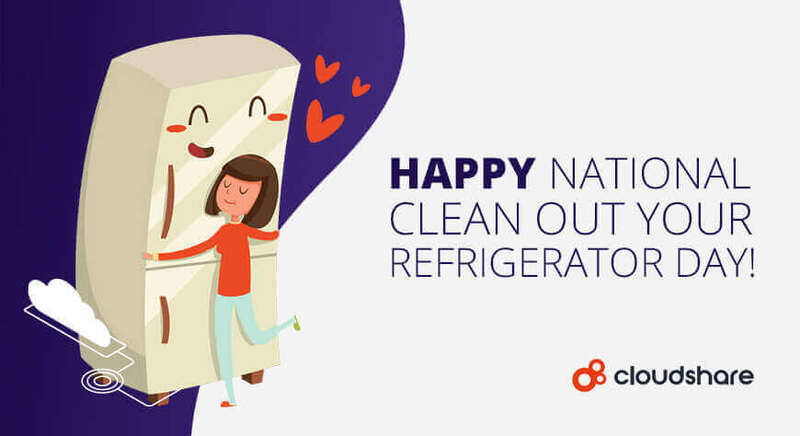 But not today: November 15th is National Clean Your Refrigerator Day. And today it’s time to toss the clutter. Companies across the US spend $164.2 billion on training and education. But most of that isn’t working. Studies show that most employees only apply 15% of what they’ve learned in formal training to the job. Learning doesn’t always translate into behavior changes or improved financial performance. But at CloudShare, we help our partners run successful training and make money at it every single day. We’d like to help you, too, with an ebook that tells you, in 5 simple steps, how to reboot and refresh your training department. Effective training strategies are like the good stuff in your fridge– everything you want to keep: fresh, delicious milk, eggs, butter, jam, sparkling water. Those are the things you want more of: training that sticks, that employees will remember and apply for years afterward. Training that makes them better at their jobs, and that helps you earn more money. This ebook gives you 5 simple steps to get your training department performing at their best. Training can be the active, beating heart of your business. And when it’s operating at full efficiency, your whole company will meet its goals more easily, with less wasted time and effort. Download the ebook today start making the most of all your training department has to offer.